Blurb Description: Scott Ferdowsi has a track record of quitting. Writing the Great American Novel? Three chapters. His summer internship? One week. His best friends know exactly what they want to do with the rest of their lives, but Scott can hardly commit to a breakfast cereal, let alone a passion. 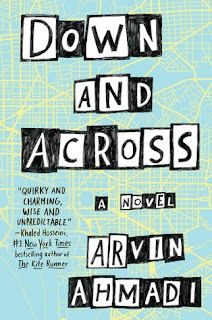 Arvin Ahmadi’s debut novel is one of those book that you INSTANTLY feel intrigued by. 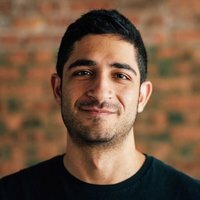 An Iranian American boy on the search for grit, leaves home and finds himself on an epic adventure and, also, there were also crosswords involved? YES, THANK YOU! Can we also talk about what an ABSOLUTELY LOVELY COVER Down and Across has because AAH. It so simple and understated and also incorporated a map of DC where the book is set as well as the crossword theme of the book. BEAUTIFUL. 1. Down and Across is a BEAUTIFUL coming of age novel. The main character is a sixteen year old Iranian American, Scott Ferdowsi, who fears that his inability to commit will be his downfall. So he leaves home and an internship filled with rat poop to go to Washington DC and meet a professor who specialises in Grit. 2. I LOVED the way this book was structured. There was a whimsical way by which Scott survived in DC, from day to day and week to week in the hostel, went after what he wanted from the professor and I LOVED Trent, his gay aspiring politician friend and his PURE HEART. 3. 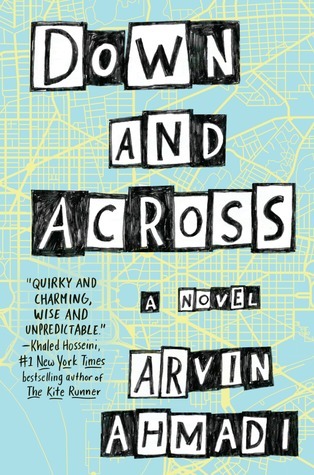 Arvin Ahmadi really takes you into the mind of a sixteen year old teenage boy and he accurately captures the anxieties of growing up and not knowing what it is you want out of life. It was a sharp, honest take on life and the future and finding yourself and EXACTLY what I needed in the moment. 4. My feelings about Fiora Buchanan are SO MUDDLED. She was a nice enough girl in the beginning and then her Manic Pixie Dream Girl side came out (and have I mentioned how MUCH I absolutely hate that trope?) and I wasn’t sure how I felt at all about her. She confused me, and I honestly feel like she could have been a better developed character. 5. Another thing I simply couldn’t shake was how BAD I felt for Scott’s parents and what a horrible son he was being. I’m Indian, with overbearing parents (who I love like there’s no tomorrow) so while I understood the PRESSURES that he felt, I also hated the way he treated them. I cannot stand lying to my parents about where I am and running away for a MONTH at SIXTEEN with no respect for his parents sort of spoilt my whole experience. I get why the storyline needed it, but it doesn’t have to mean that I liked it. 6. There was also a Crossword at the end of the book based on happenings in the book for the reader to solve and I LOVED that Down and Across had this unique feature and I loved solving it. 7. I loved the way the racist, bigot Jeanette was dealt with in this book. It gave me INTENSE pride when Scott/ Saaket told her off because her and people like her DESERVE it. 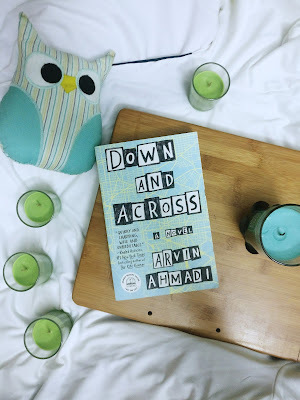 Down and Across is quirky and charming, earnest, funny and INTENSELY relatable and a debut novel from a new voice in YA fiction to watch out for. 4 stars. What are some of your most anticipated books of the year? What are some of the diverse books you have on your radar? Have you had the chance to read Down and Across already? What did you think of it?